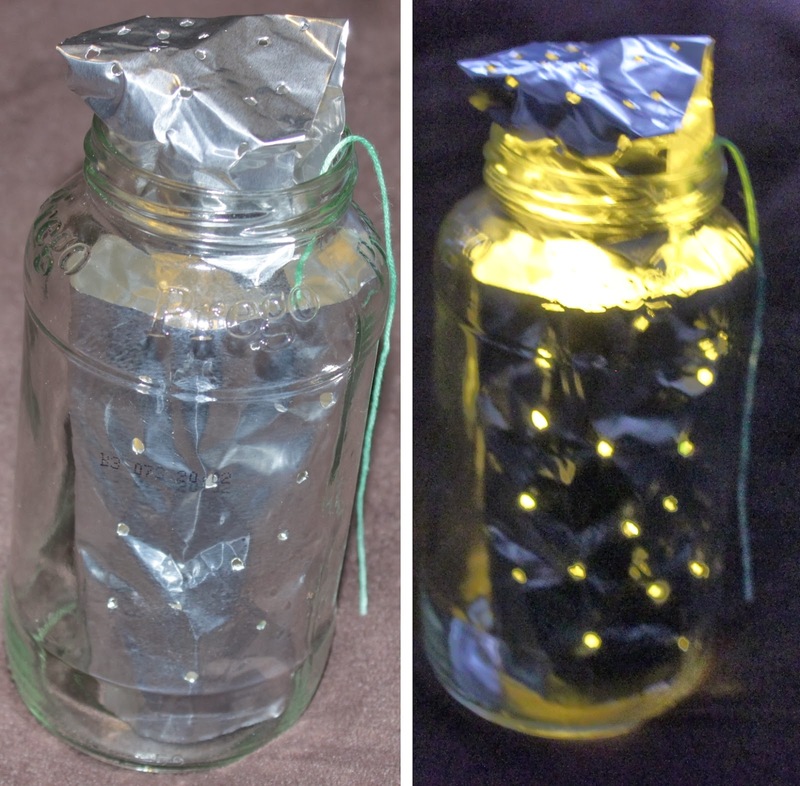 Today’s project was Foil Starlight, and it really didn’t work out at all. 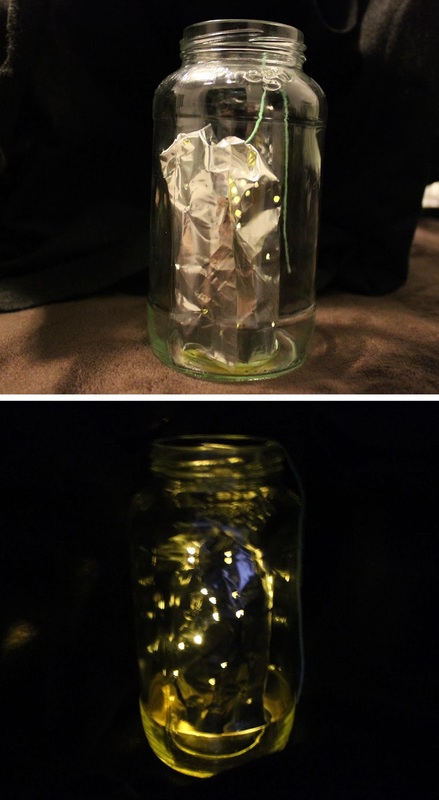 This was supposed to be another dollar store craft you see floating around a lot on Pinterest, like seen here. 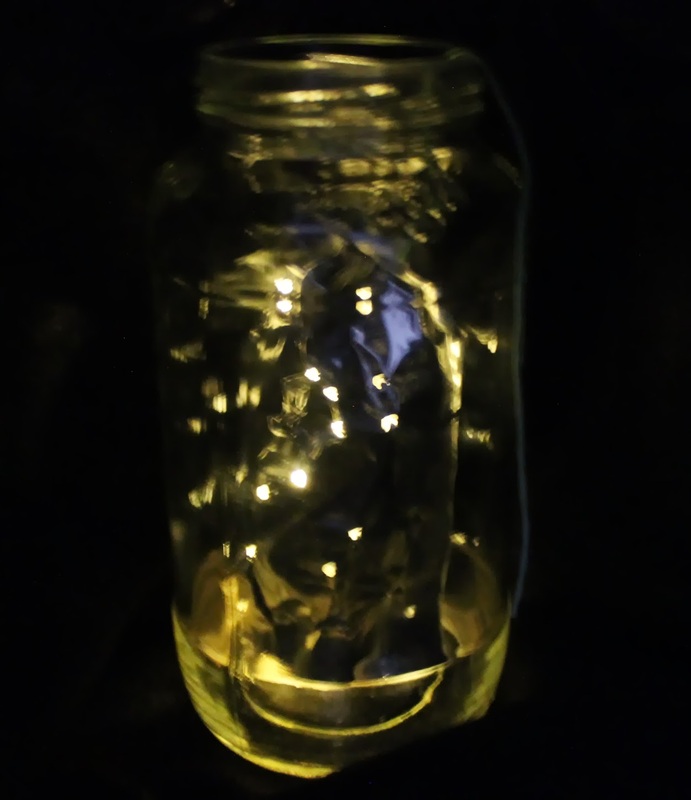 It’s possible that it didn’t work out for a couple of reasons: my LED light may have not been strong enough or the lack of a real lid allowed too much light to shine. It’s also possible that this project is just not all it’s cracked up to be. 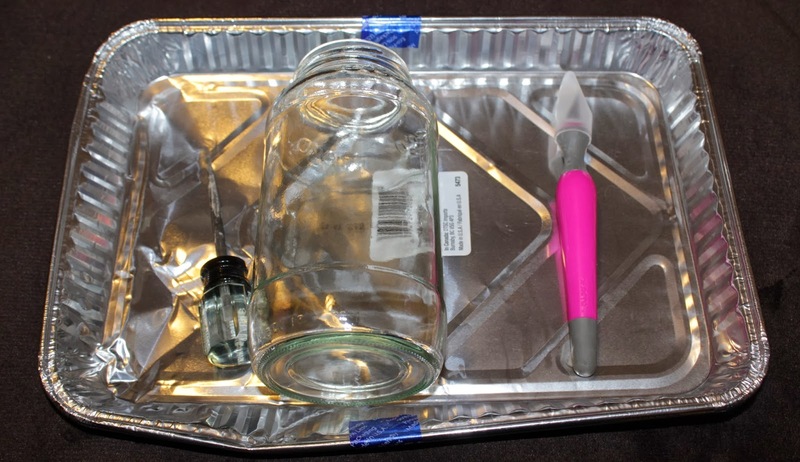 To start I used a foil dish from the dollar store, my exacto knife (scissors or a razor blade would work well, too) an awl, a jar and an LED light. Contrary to this looking like a kid-friendly project, it’s not. 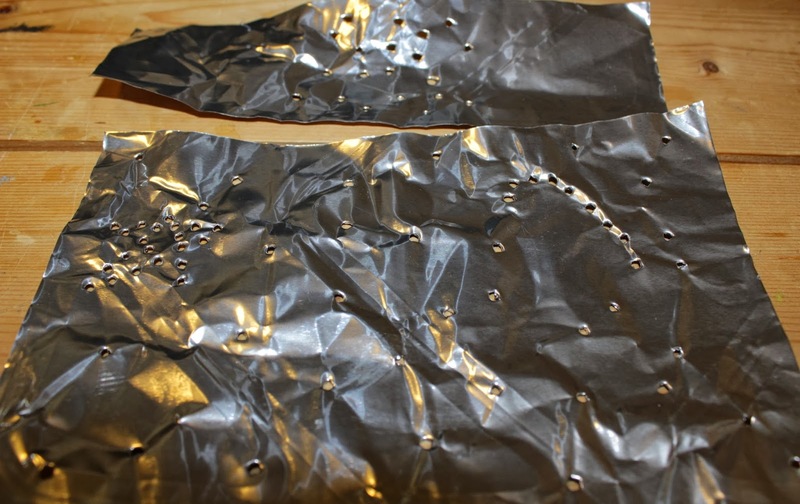 There’s sharp objects involved, including the foil itself after it’s cut. 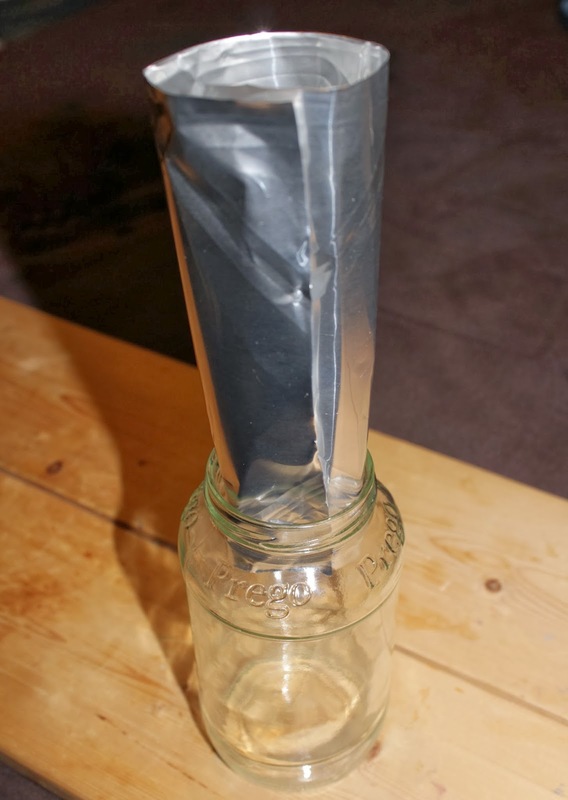 After you have your foil piece, roll it to figure out how much you’ll need to fit inside the jar and cut off any excess. 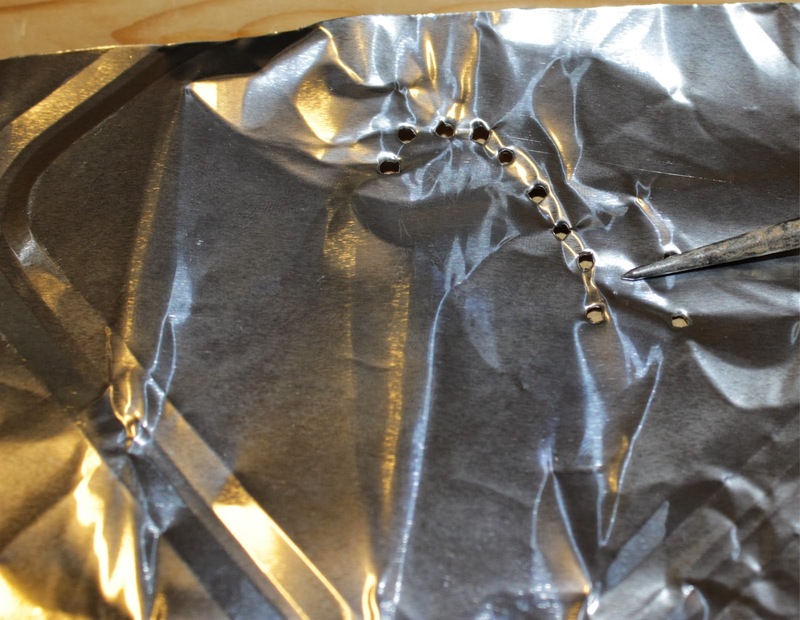 Use an awl (or similar object) to poke holes in your foil. 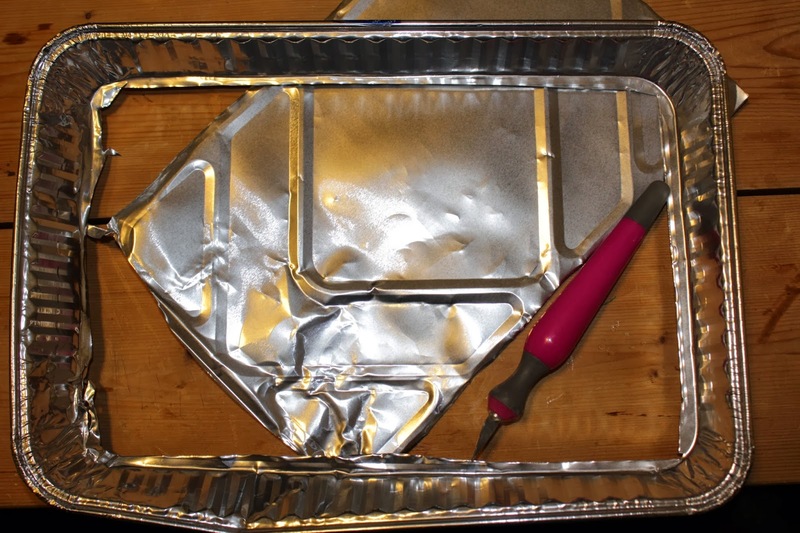 I had the idea to use the smaller piece like a lid, but that didn’t really work out. Finally I tried making the foil tightly rolled and the foil “lid” covering the top, but all I could get was one hole to show up inside my blackbox (look on the left side of the lights-out pic). After thirty minutes I called it a lost cause. It was interesting trying out various ways but obviously I’m missing something here. Tomorrow’s project is Pancake Bites!